Six Doctor Who scripts belonging to the creator of the TARDIS and writer, Anthony Coburn, have been discovered by prop-maker, Jason Onion. 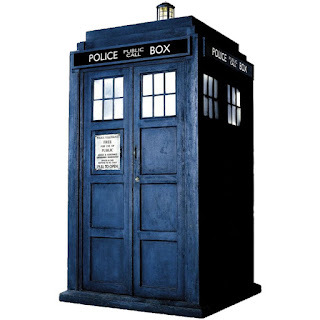 Mr. Coburn came up with the idea for the TARDIS after seeing a police box outside BBC Television Centre. He sadly passed away in 1977. Onion, a BBC licensed TARDIS maker, was researching the iconic blue police box for Children In Need and was handed a box of paperwork found by Mr. Coburn's widow, Joan Coburn-Moon. "With the consent of Anthony's wife, Joan Coburn-Moon, and other family members, the family lent me a box of his work and I saw the scripts, but put them to one side. "When I scanned the cover later I realised it didn't have the right title for the first episode... as soon as I saw the first few pages I knew it was not the episode that had been televised. "I just sat there, and stared and stared. I wanted to cover them with glass. They are unbelievably precious, and I had them in my hand." The six scripts consist of two versions of the first episode, an alternative episode two and three further stories. "You can see in these episodes a device to unlock the TARDIS, which became the sonic screwdriver, and the science and regeneration and renewal of the body, which were all created in Anthony's mind. "It explains the TARDIS's original name, the planet Doctor Who came from and that his granddaughter - Susan in the programmes, but Suzanne in the scripts - was a princess saved from another world. 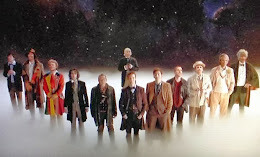 "He created the cornerstones of Doctor Who that have been expanded and built on ever since." Discussions are currently underway for a permanent exhibition to commemorate Mr. Coburn. Jason Onion's workshop where he builds TARDIS replicas is reportedly being considered.